Beauty (& Blueprint Cleanses) On Wheels: This Truck Is Serving Up Free Goodies! We normally prefer trucks of the food variety — hawking tacos, korean barbecue, and the like — but we have to admit that our ears perked up when we got word of Fresh Beauty's new mobile pop-up. They're partnering with BluePrint Cleanse to kick off their Fresh Beauty Cleanse campaign, and they're taking it to the streets. 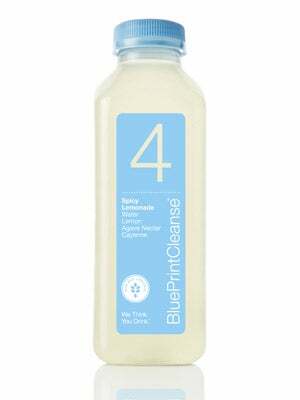 The truck will be setting up camp around NYC this week, with Fresh specialists on hand to demo their best-selling Soy Face Cleanser (a gel product that removes makeup and impurities) while they serve BluePrint's signature Spicy Lemondade. The best part? The team will be giving away free kits to the city's beauty addicts, complete with a bottle of the cleanser, a gift card good for a Sugar Lip Treatment, and, of course the tasty Lemonade — all wrapped up in a stylish tote. Look for the truck in Union Square on Wednesday, and Bleecker Street on Thursday — it's inspired by the old-school lemonade stands of yore, so it'll be hard to miss. When: Wednesday, July 25 and Thursday July 26, from 11 a.m. to 7 p.m.
Where: Union Square (Broadway between 17th and 18th streets); Bleecker Street (outside of Magnolia Bakery).